The sparkle factor just got turned up a notch! 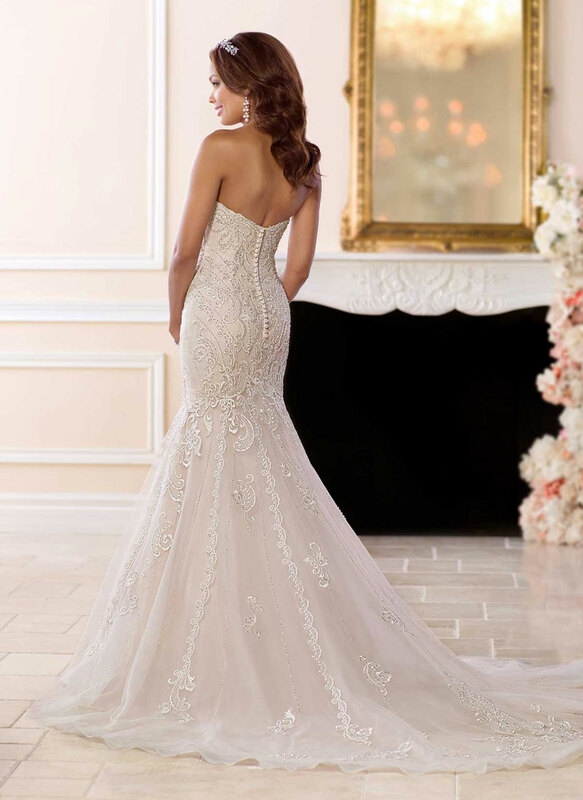 An exceptional creation, this mermaid wedding dress is the definition of fabulous! 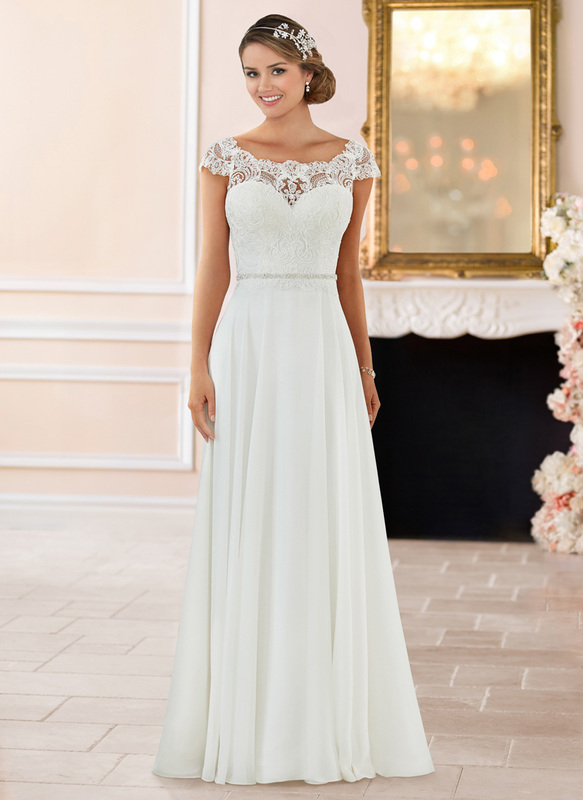 Made for the bride who wants to show off her figure, this lace, tulle and organza dress has a plunging strapless neckline and layered horsehair skirt, which is perfect for a dramatic entrance. The completely beaded bodice cinches the waist and hugs tightly around the body until flaring out with style just above the knees.